When you think of Glasgow today, you might think of the incredible live music, The Clyde and Ship Building, Sir Billy Connolly and the Glasgow Style architecture. 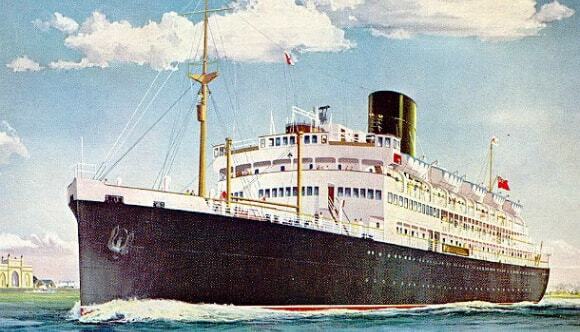 What might not spring to mind are colossal ocean liners, cruise ship glamour and the Golden Age of travel? 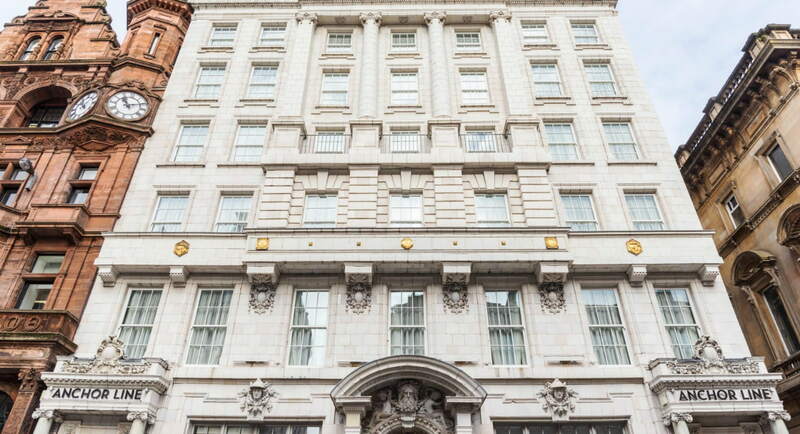 Sitting proudly on St Vincent Place, in Glasgow’s city centre, is the glorious Anchor Line Building – the former headquarters of the Anchor Line Shipping Company and the home to our newest aparthotel, Native Glasgow. We love a good story, so put the kettle on and let us tell you a little more about this building steeped in history. It all started with two brothers. Meet Nicol and Robert Handyside – two bright young things on the Glasgow merchant scene, who started N&R Handyside and Co in 1838. A few years later they teamed up with Thomas Henderson and bought their first ship. Just a decade later, Handysides and Henderson snipped the ribbon on their New York office, selling tickets through thousands of agencies in America and Ireland. Handysides and Henderson was at its prime, building its own ships, transporting hundreds of thousands of people and goods across the world, and even launching the first merchant vessel to cross the Suez Canal. In 1906, a seven-storey white Carrara marble building (our new home) was built on St Vincent Place, just off George Square, as the bespoke offices of what was now known as the Anchor Line Shipping Company. It was designed by James Miller, the man behind the 1905 extension to Glasgow Central railway station, the Union Bank and many other prominent buildings in Glasgow and London. The next few decades were eventful ones, where the First World War saw half of Anchor Line’s ships sunk by enemy forces, and the company changed hands, names and routes across the globe. In 1965, the company was bought by Moor Line and the Anchor Line Building closed its doors. 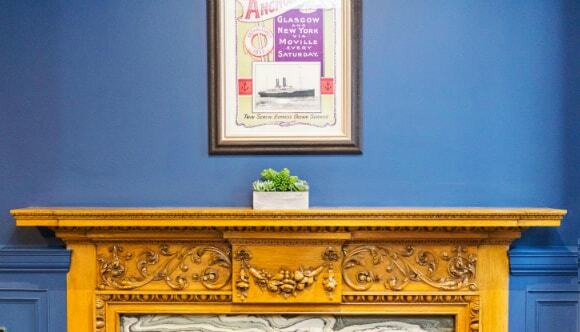 In celebration of the Anchor Line Building’s past we’ve kept many of its original features and plenty of the luxury ocean liner décor that filled these headquarters over 100 years ago. When you stay with us, you’ll see it throughout the building, from the reception and restaurants to your very own apartment. Glazed tiles, terrazzo flooring, cruise ship inspired carpets, wood panelled walls and fireplaces – it’s all there. 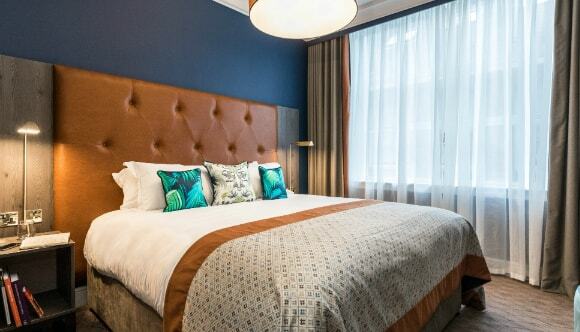 All alongside the hotel-style perks you’d expect from brilliantly serviced apartments, like a 24-hour reception, concierge and breakfast. You’ll also find tons of original artwork from Anchor Line’s heyday in The Anchor Line restaurant downstairs. Oh, and when you can finally bring yourself to step outside your new pied-à-terre, don’t miss the irresistibly Instagrammable nautical emblems adorning the façade – seaweed, shells and sailors, all freshly glazed after hiding behind decades of dust and grime. You’ll want to collect them all. 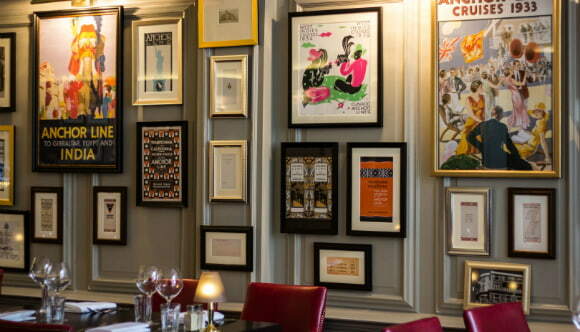 So, there we are – a little introduction to our brand new Glasgow aparthotel. We hope you’ll love it as much as we do. Book your stay in Glasgow today.